Pada hasil pubilkasi Octoverse 2016, Indonesia masuk peringkat ke-2 dalam kategori negara dengan peningkatan pendaftar baru paling banyak di Github. Sebagian ada yang aktif berkontribusi pada proyek open-source, sebagian lagi ada yang membentuk organisasi/komunitas di Github. Berikut ini daftar link komunitas dan repositori Github Indonesia yang diambil dari repositori Awesome Indonesia Repo dan beberapa sumber lainnya. Android StepsView - A simple progress steps view on Android. WhatsApp ProfileCollapsingToolbar - An Android custom animation view that looks like WhastApp Profile screen style. Ziliun React Native - Ziliun article reader android app built with React Native. React Tomato Timer - A simple timer for a more productive way to work and study built with ReactJS. android-base-mvp - Android Base MVP Concept with RXJava, Dagger, Event Bus, Retrofit, Glide, OkHTTP. RxDownloader - An Rx wrapper for Download Manager in Android. ImageEffectFilter - Android image filter processing sample using layer drawable and effect factory android. React Native Credit Card - React native credit card display component. Android Color Picker - To customize the color of some background, text, or maybe for a painting application. ImagePicker - A configureable library to select image from gallery and camera without the hassle. CafeBar - An upgraded Snackbar for Android that provides more options and easy to use. CandyBar - Android icon pack dashboard library. WallpaperBoard - Android wallpaper dashboard library. Nike+ Running - React Native - UI & UX Prototype of redesigned Nike+ Running App. Subtitle CollapsingToolbarLayout - Standard CollapsingToolbarLayout with subtitle support. Awesome Indonesia Repo - A curated list of amazingly awesome repository created by Indonesian people. Awesome CodeIgniter - A list of awesome CodeIgniter core, helpers, hooks, language, libraries, and third party. Engineering Blogs - A curated list of engineering blog of startup and enterprise company. NLP Bahasa Indonesia - A curated list of Indonesian Natural Language Processing resources. Awesome Indonesia Telegram Groups - List of All Programming Telegram Group in Indonesia. Awesome Guidelines - A curated list of high quality coding style conventions and standards. Free Programming Books Indonesia - Freely available programming books with Indonesia Language. Buku Git - Buku Version Control menggunakan Git. E-Library MDC - E-Library yang berisi kumpulan E-Book tentang dunia IT. Lentera - Learning Management from Nusantara. Pusaka CMS - File-based CMS build with CodeIgniter Framework. Elybin CMS - Sistem manajemen konten gratis yang berfokus kepada kegunaan, kecepatan, dan kemudahan. Fiyo CMS - CMS Open Source with Easy Design, Fast Load, and SEO Friendly. Wayang CMS - Wayang CMS is Open Source CMS made in Indonesia. HTMLy - HTMLy is an Databaseless or Flat-File Blogging Platform prioritizes simplicity and speed written in PHP. PopojiCMS - Buat Sendiri Rasa Webmu. Wilayah Administratif Indonesia - Data Provinsi, Kota/Kabupaten, Kecamatan, dan Kelurahan/Desa di Indonesia. Panada - High performance PHP development framework, yet simple. Puko - MVC Framework for quick and fast PHP Application Development. IGOS Nusantara SDK - A SDK designed specifically for application developers in IGOS Nusantara. EmeraldBox - EmeraldBox is a boilerplate framework for developing python web applications with database access. Bootstrap Markdown - Bootstrap plugin for markdown editing. Marka - Beautiful transformable icons built for the web. Waves - Click effect inspired by Google’s Material Design. React Komik - ReactJS based comic strip creator using fabric.js canvas rendering. Word Chain - Multiplayer word chaining game using AngularJS and firebase. KatanyaGomoku - Modification Game of Tic Tac Toe using Java Languange. unzipall - Unzip all zip files in src directory to dst directory. Inflector - Inflector pluralizes and singularizes English nouns. Snowboard - API blueprint parser and renderer. PhantomJS - Scriptable Headless WebKit. jQuery Calx - jQuery plugin for creating formula-based calculation. JVFloat.js - jQuery / Zepto plugin to emulate Matt D. Smith’s floating placeholder text. SimpleExcel.js - Client-side script to easily parse / convert / write any Microsoft Excel. jQuery Awesome Sosmed Share Button - Awesome social media button with share count. Esprima - ECMAScript parsing infrastructure for multipurpose analysis. PHUNT - Product Hunt Command Line Client. React Simple PWA - Simple Progressive Web App Built with React Js. Angular Starter - Gulp Angular Starter using TypeScript. Angular Webpack Starter - Angular Webpack Starter with AoT compilation, Lazy-loading, Tree-shaking, and Hot Module Reload. Express4 Bootstrap Starter - Lightweight Bootstrap NodeJS Apps Build Using ExpressJS 4. Vue 2 Starter - Simple Vue 2 Starter for single page application with Vuex and Vue Router. Vue 2 Simplert - Vue 2 Simple Alert Component (SweetAlert Inspired). Vue SoundCloud - Vuejs + SoundCloud demo app. Vue Autocomplete - Autocomplete Component for Vue.js. Vue Mini Shop - Mini Online Shop Built With Vue.js. Vue Loading Bar - Youtube Like Loading Bar Component for Vue.js. Vue 2 Loading Bar - Simplest Youtube Like Loading Bar Component For Vue 2. Vue Simple PWA - Simple Progressive Web App Built with Vue.js. Explore GitHub - VueJS 2 GitHub Explorer Using API v3. JekMDL - Jekyll theme use Material Design Lite. Mangan - Geek theme for Jekyll. Stack Problem - Free and open-source Jekyll theme. Belajar Git - Tutorial Git dalam Bahasa Indonesia. Ruby Basic - Learning material for Ruby Programming Language, written in Bahasa Indonesia. 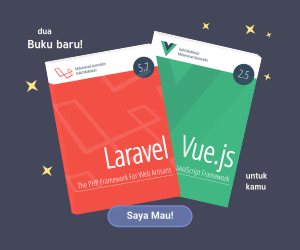 Docs vuejs id - Dokumentasi Vue.js Bahasa Indonesia. PUEBI Daring - PUEBI Daring adalah versi web ramah gawai dari PUEBI Permendikbud 50⁄2015. KBBI Qt - KBBI Qt adalah aplikasi Kamus Besar Bahasa Indonesia berbasis GUI. Frost Plank Theme - Quite dark Plank theme. Blitz CLI - A command line app to check cgv blitz movie seats. PHP-BOOTSTRAP - Simple design templates framework together with the famous bootstrap. Simple PHP Excel - Easily parse / convert / write any Microsoft Excel. Membership PHP Indonesia - Membership Application for PHP Indonesia. playCMS - Web-based Mobile Portal System that it can be made to fit to various services such as an SMS gateway. Terbilang - Convert numbers into words in Indonesian language. SLiMS 8 Akasia - SLiMS is free open source software for library resources management and administration. Gas ORM - A lighweight and easy-to-use ORM for CodeIgniter. SunQA - Simple App Question Answer like Stackoverflow. Avatar - Plug and play avatar, turn initial name into beautiful avatar. Pingpong Admin - Laravel 5 Admin. 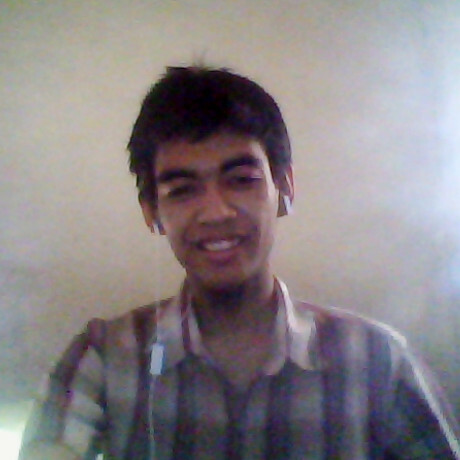 Absis - Sistem Akademik K13/KTSP Berbasis Web. AppRocket PreProject - Contoh aplikasi CRUD dengan Laravel 5.2. Laravel Circuit Breaker - Circuit Breaker pattern implementation in Laravel 5. Laravel Simple Uploader - Simple file uploader for Laravel 5. Laravel 5 Model Factory Generator - Generate a new model factory using Artisan command. Laravolt Indonesia - Package Laravel yang berisi data Provinsi, Kabupaten/Kota, dan Kecamatan/Desa di Indonesia. Semantic Form - Semantic UI form builder, for Laravel. Slim Starter - Starter Application built on Slim Framework in MVC (and HMVC) environment. Boilerplate Slim 3 - Boilerplate for getting started with Slim Framework. Symfonian Indonesia AdminBundle - Admin Bundle with Symfony Framework. Tania - An open source farming management system. Yii2 Admin - Auth manager for Yii2 (RBAC Manager). WP Slack - This plugin allows you to send notifications to Slack channels when certain events in WordPress occur. Minimalist - A Material Colorscheme Darker for Vim. WordGraph - Weighting word frequency graph. fasttext - A Python interface for Facebook fastText. HSR - Hand signals recognition using Convolutional Neural Network implemented in TensorFlow. Sastrawi - High quality stemmer library for Indonesian Language. Mac OSX Lion Theme - (Web) Static site theme with Mac OSX Lion style. Indonesian AdBlock Rules - Compiled ABP rules to block various ads in Indonesian based site. Indonesia on Top Regional Repositories - Popular repositories in Indonesia. Itulah beberapa link repositori dan komunitas Indonesia di Github. Mudah-mudahan Bermanfaat. Nanti saya tambahkan lagi, kalau ada yang baru. Jika kamu mengetahui repositori indonesia yang belum terdaftar, silahkan ajukan PR (pull request) ke Awesome Indonesia Repo dan kirim link-nya ke [email protected] agar ditambahkan di sini.